Hollybeary Creations : 'Tis the Season #26.. Merry! 'Tis the Season #26.. Merry! Happy Thursday!!! Can you believe Christmas is like 100 days away, that's crazy!!! Where did this year go? It's time for a new challenge at 'Tis the Season and this week we have a color challenge for you, we're using Olive, Red & Kraft! I decided to go straight for the Inspiration photo. I actually LOVE this card.. It came out so much more elegant then I thought it would. 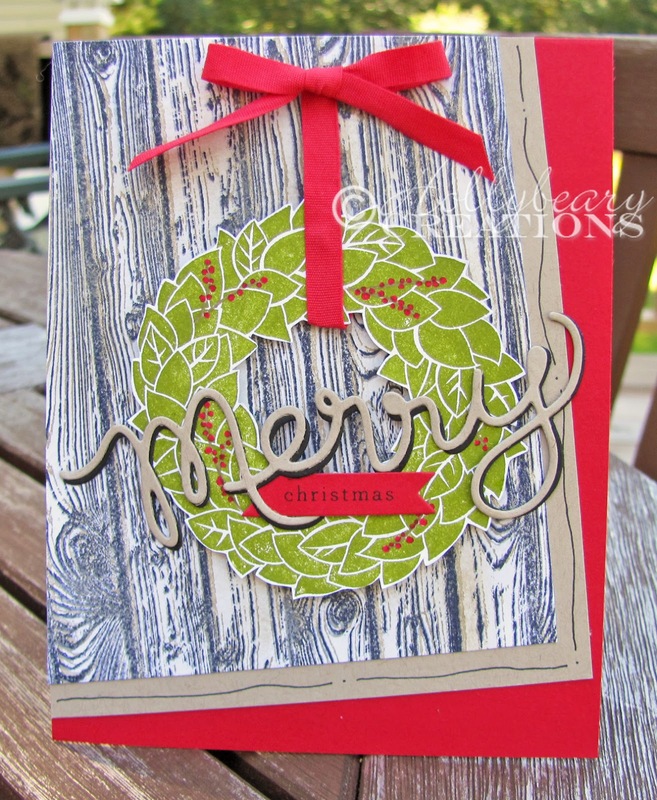 I stamped the Hardwood background stamp 3 times offsetting it each time just a little. I used Smoky Slate, Black & Crumb Cake. Then I trimmed it to the size I wanted and added some more Crumb Cake ink with a Sponge. I stamped the Wreath in Old Olive and colored the berries in with a marker. 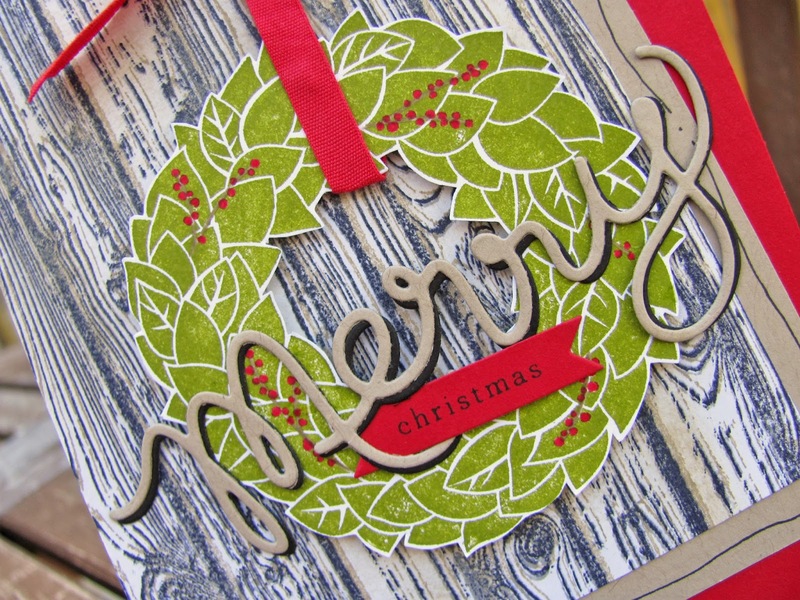 The Merry is die cut from the Expression thinlits using some Crumb Cake and Basic Black card stock. 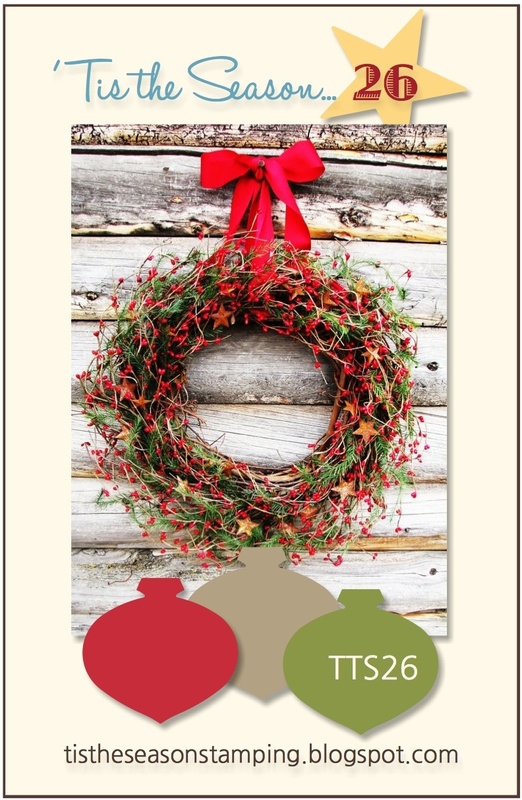 Be sure to head over to the 'Tis the Season Challenge Blog and see what the other Design Team members created and join us!!! This is a great way to get a head start on your Holiday cards! Extras: Real Red Cotton Ribbon, Expression Thinlits, Bitty Banners Framelits (SU), Multi Medium Matte (Ranger), Black Muti Liner (Copic). Gorgeous Holly, wow, I love it!